♦ Clients shall have opportunities to participate in activities as part of a group or as an individual based on their personal preferences & needs. ♦ Clients shall have staff who guide, advocate, & motivate independence where appropriate & shall encourage interdependence where needed. ♦ Clients shall have staff that respect their choices, help them improve their choice making skills, & provide opportunities to utilize their choices. ♦ Clients shall have staff that encourage & provide opportunities to use community resources in natural settings. 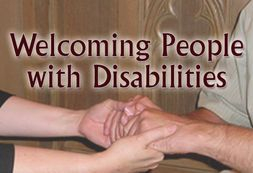 ♦ Clients shall have staff that encourage & assist with developing relationships with people outside their home.